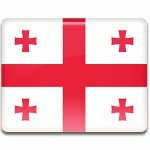 Georgia celebrates its Independence Day on May 26 every year. It is the national day of Georgia that commemorates the establishment of the short-lived Democratic Republic of Georgia in 1918. 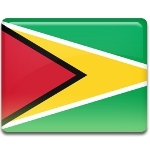 The Cooperative Republic of Guyana celebrates Independence Day on May 26. This national holiday commemorates the anniversary of Guyana’s independence from the United Kingdom in 1966. 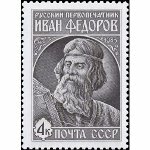 Russian Entrepreneurship Day is a relatively young professional holiday, that was established by President of Russia in 2007. The holiday is annually observed on May 26. 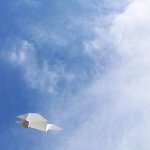 The last Saturday in May is Publishing, Printing and Book Distribution Workers' Day in Ukraine. 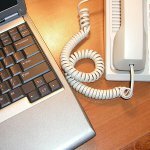 This professional holiday was established by President Leonid Kuchma in 1999. The Battle of Sardarabad, that took place on May 21-28 1918, is one of the most important events in the history of Armenia. 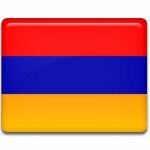 Nowadays the Armenians annually commemorate Battle of Sardarabad Day on May 26. 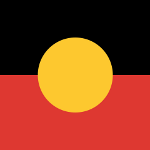 National Sorry Day in Australia is observed annually on May 26. This event was created to remember and commemorate the mistreat of the continent's indigenous people. On May 26, Denmark celebrates the birthday of Frederik, Crown Prince of Denmark. 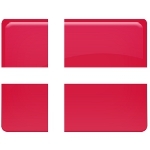 Although it is not an official public holiday, it is considered an important date in the Denmark's calendar because Frederik is the heir apparent to the throne. 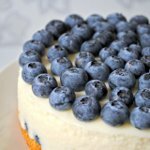 Each year on May 26 you can enjoy blueberry cheesecake and celebrate National Blueberry Cheesecake Day. Mother's Day is annually observed in Poland on May 26. Unlike the others countries, Poland celebrates the holiday on a fixed day. 2013 Died: Jack Vance, American mystery, fantasy, and science fiction author who won three Hugo Awards and a number of other prestigious awards. 2008 Severe floods began in Eastern and Southern China. There were four rounds of torrential rains with landslides and flooding killed more than 200 people. 2008 Died: Sydney Pollack, American film director, producer and actor whose best known works include They Shoot Horses, Don't They?, Out of Africa, and Tootsie. 2001 Died: Anne Haney, American stage, film and television actress best known for her roles as Mrs. Sellner in Mrs. Doubtfire and Greta in Liar Liar. 1991 Lauda Air Flight 004 crashed due to an in-flight breakup caused by uncommanded thrust reverser deployment, killing all 223 people on board. 1985 The European Economic Community (EEC) adopted the flag of Europe: a circle of twelve golden (yellow) start on an azure background. 1976 Died: Martin Heidegger, German philosopher who made significant contributions to philosophical hermeneutics and existential phenomenology. 1971 Born: Matt Stone, American actor, animator, screenwriter, producer, singer, and songwriter best known for co-creating South Park along with Trey Parker. 1966 Born: Helena Bonham Carter, English stage, film, television, and radio actress who has frequently collaborated with her ex-husband Tim Burton. 1964 Born: Lenny Kravitz, American rock-singer-songwriter, musician, record producer, arranger, and actor who won four consecutive Grammy Awards from 1999 to 2002. 1960 Born: Doug Hutchison, American actor known for playing antagonists. His marriage to 16-year-old Courtney Stodden in 2001 drew harsh criticism. 1951 Died: Lincoln Ellsworth, American polar explorer and a major benefactor of the American Museum of Natural History in New York City. 1951 Born: Sally Ride, American physicist and astronaut. She was the first American woman in space and remains the youngest American astronaut as of 2015. 1948 The Israel Defense Forces were set up by Defense Minister David Ben-Gurion. They were formed out of the paramilitary organization Haganah. 1948 Died: Theodor Morell, German physician who served as Adolf Hitler's personal doctor. He was known for his unconventional treatments. 1948 Born: Stevie Nicks, American singer-songwriter best known for her work with the rock band Fleetwood Mac as well as an extensive solo career. 1933 Died: Jimmie Rodgers, American country singer and musician primarily known for his rhythmic yodeling. He was referred to as the Blue Yodeler. 1923 The 24 Hours of Le Mans was first held. It is an active sports car race in endurance racing held annually near the town of Le Mans, France. 1914 Born: Frankie Manning, American dancer and choreographer who is considered one of the founders of the swing dance Lindy Hop. 1911 In Georgia, the first democratic presidential election was held after the dissolution of the Soviet Union. The election was won by Zviad Gamsakhurdia. 1909 Born: Matt Busby, Scottish football player and manager who managed Manchester United. He is one of the most successful managers in English football history. 1904 Died: Georges Gilles de la Tourette, French physician and the eponym of Tourette syndrome, an inherited neuropsychiatric disorder. 1897 Bram Stocker's Gothic horror novel Dracula was first published by Archibald Constable and Company. Reviews were positive, but the book was not an immediate bestseller. 1886 Born: Al Jolson, American singer, comedian, and filmed actor whose music influenced numerous well-known singers including Bing Crosby and Bob Dylan. 1882 A fire occurred in the church in Grue, Norway, killing at least 113 people. The Grue Church fire is the biggest fire disaster in the Norwegian history. 1869 Boston University was chartered by the Massachusetts Legislature. It had been established 30 years earlier as Newbury Biblical Institute. 1822 Born: Edmond de Goncourt, French author, literary and art critic, and book publisher. He is known for collaboration with his younger brother Jules. 1703 Died: Samuel Pepys, English naval administrator and Member of Parliament famous for his diary which was first published in 1825. 1647 Died: Alse Young, the first woman to be executed for witchcraft in the thirteen American colonies. She was hanged in Hartford, Connecticut. 1644 The Battle of Montijo was fought during the Portuguese Restoration War. Although the Portuguese won, the Spanish saw it as a strategic victory.